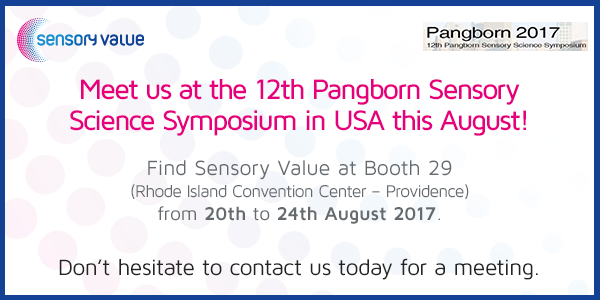 Going to #Pangborn17? Drop by Booth 29 and meet us and know how we work! WE TRANSFORM SENSORIALITY INTO VALUE FOR OUR CLIENTS. 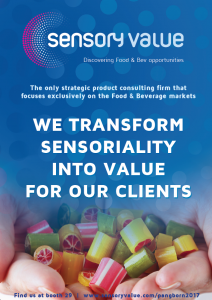 Sensory Value is the only strategic product consulting firm that focuses exclusively on the Food and Beverage markets. Our mission is to identify the Sensory Assets of our clients’ products. These Sensory Assets can be transformed into competitive advantages that add value to their businesses. 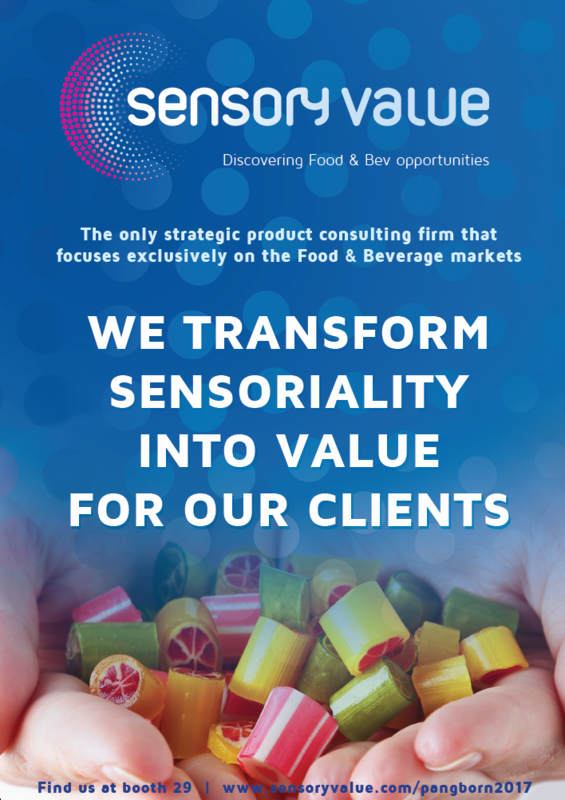 Sensory Value focuses on product quantitative projects, using methodologies based on Product Tests with Consumers and Sensory Descriptive Analysis. WE ARE SENSORY CONSULTANTS OF PRODUCTS. Our passion : the use of sensory applied to our clients’ product strategy. Our background in the food industry and our knowledge in interpreting results allow us to deliver reports with clear and actionable recommendations for both Marketing and R&D departments. We proactively collaborate with our clients in the five continents to identify solutions that meet their needs. WE USE ALL FIVE SENSES IN EVERY PROJECT. On the basis of your consent the data you provide will be used by Abante Pongiluppi, S.L. to respond to your request for information. Its communication to third parties is not foreseen. You can access, rectify and delete your data, among other rights, as explained in the detailed information, which you should read and agree to before sending your data. I have read and agree to the terms of the detailed information covering the use of my personal data.